As our strongest and most flexible basecoat, the Premium Basecoat can be utilised in two ways. Used in render-only systems, it makes a strong and stable basecoat. In external wall insulation systems, the reinforcing fibres in the adhesive activate to attach either our Mineral Wool or Wood Fibre insulation boards to the wall. Once the basecoat has dried it provides unparalleled strength and flexibility. 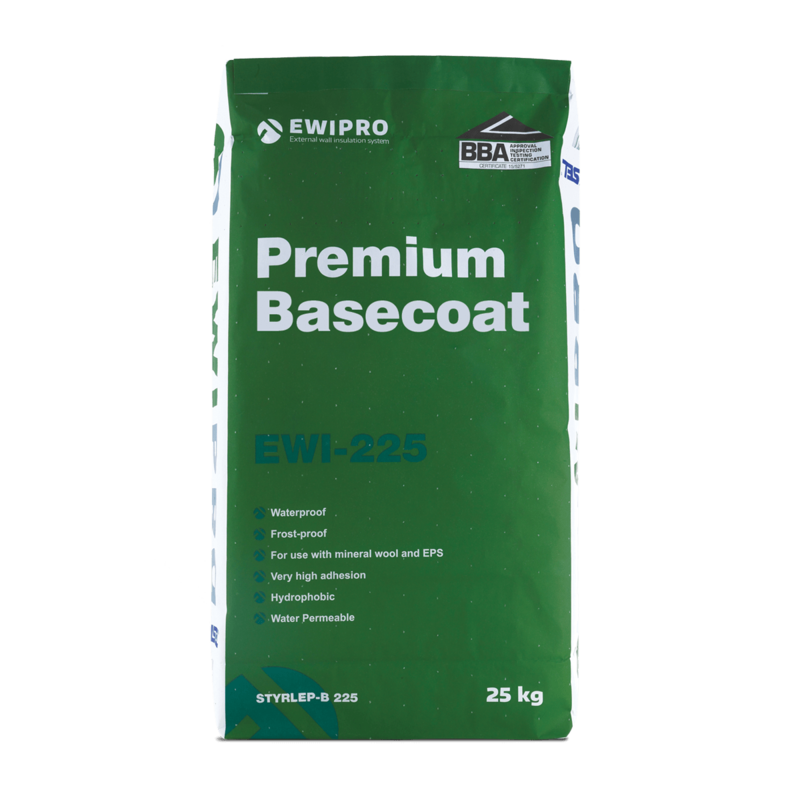 EWI-225 Premium Basecoat is used to fix Mineral Wool insulation boards to substrates in addition to being used within the basecoat layer. The basecoat adhesive is white due to the presence of white portland cement – making it stronger than other adhesives (EWI-220 and EWI-210). Once the product has dried it provides an incredibly strong and flexible basecoat layer. We therefore recommend using the adhesive when applying ‘render only’ systems to substrates for an extra strong basecoat layer. Premium Basecoat should not be applied in rain or humid conditions, or if wet weather is expected before the adhesive has set. Premium Basecoat should be applied in temperate weather and should not be used in temperatures above 30°C. Likewise, if the materials or the substrate are frozen, or if there is any risk of frost damage within the first 24 hours, work should be postponed. 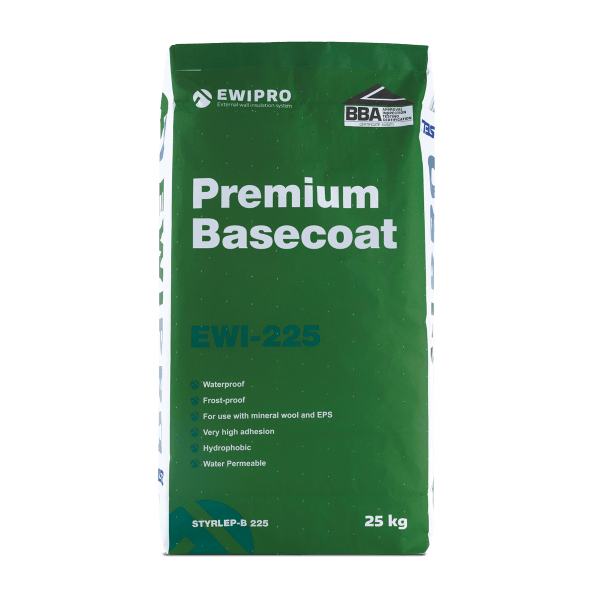 EWI-225 should be mixed with approximately 5.9 litres of water per 25kg of dry mix.